Rachel Miskec watches the news each night and worries she’ll see an apartment fire in Kansas City, Kansas. 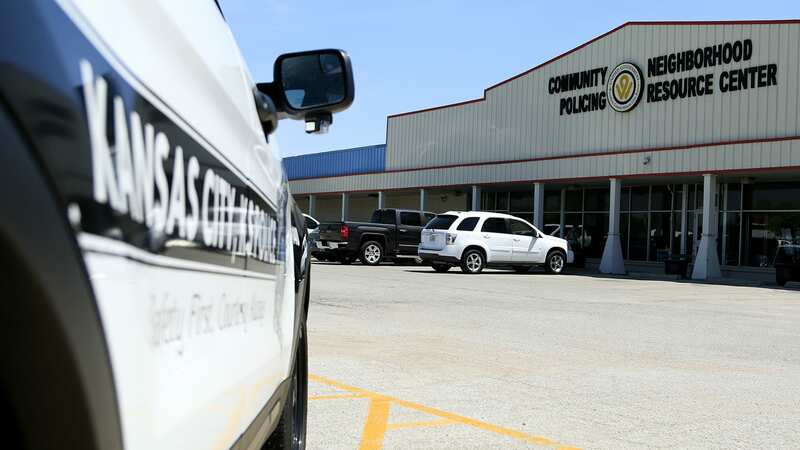 “If something bad happens, I know someone is going to ask us when did you go into [the apartment] last,” said Miskec, the coordinator of the rental license program for the Unified Government of Wyandotte County and Kansas City, Kansas. As it stands, a rental licensing inspector walks up and knocks on a door. The inspector hopes the tenant inside will answer, so they can schedule an appointment for another day. If there is no answer, there is no way — absent an administrative search warrant — that the inspector can look inside. Wyandotte County has had a rental licensing program since 1996. County officials say the program is about health and safety. Some landlords argue that routine inspections violate tenants’ privacy rights. Both sides will tell you that a little-known change to the state law in July 2016 fundamentally altered the county’s rental inspection process. The law prevents inspectors from entering a rental property without the consent of tenants. The law’s impact was magnified by issues within the rental licensing department. Poor record-keeping and staff turnover have hindered the office’s performance in the past several years. The rental licensing office is looking at tenant education as a potential solution, but it is still struggling with a key problem: Nobody knows when the inside of a property will be inspected next. The rental licensing office is tucked into a beige strip mall. Next to a clothing store that sells rompers and crop tops, landlords come to the Neighborhood Resource Center to file a new rental unit license application. This is also where tenants file complaints about their living conditions. The department dates back to the mid-1990s and to the mayoral administration of Carol Marinovich. She helped create the agency in response to concerns over absentee landlords. “There would be rental properties — the [landlords] didn’t live here — they weren’t taking care of their properties, and it was hard to get them to do anything. They were taking advantage of people that shouldn’t be living in the conditions they were living in,” Marinovich said. A local delegation visited Minneapolis to see how its licensing program worked, and KCK ultimately used that model in enacting its rental licensing program in 1996. A rental license would be issued after inspectors checked for mold and evaluated furnaces and smoke detectors. “It was a hammer that we had to get these landlords to do something about their deplorable properties,” said Kansas state Sen. Kathy Wolfe Moore, who was then Marinovich’s chief of staff. Jaskinia also made a trip to Minneapolis, and he came away concerned that the proposed program was just an additional tax on upstanding landlords. “The bad landlords are always going to find a way to beat the system,” Jaskinia said. The rental licensing office strives to inspect single-family homes and duplexes every five to six years and large, multi-unit complexes every two to three years. Yet that does not always happen, as indicated by the case of Colony Woods, a 98-unit apartment complex. Its last wholesale inspection came in 2011, though the agency has responded to individual tenant complaints. Director Greg Talkin acknowledged that the rental licensing program has flaws. There are four inspectors, a supervisor, a program coordinator and two clerks. He believed staff may have spent too much time filing paperwork, rather than out in the field. “I wish we had enough resources that we’re going to get to every place every year,” Talkin added, when asked specifically about Colony Woods. But if properties sometimes fell through the cracks over the past two decades, the cracks widened into a chasm two years ago. Senate Bill 366 significantly altered the rental licensing program in Wyandotte County and other municipalities in Kansas. The law, which took effect on July 1, 2016, barred rental licensing programs from inspecting the interior of existing properties without the consent of the tenant. If a tenant refuses to allow an inspector to enter, the city or county may seek an administrative search warrant to gain entry. 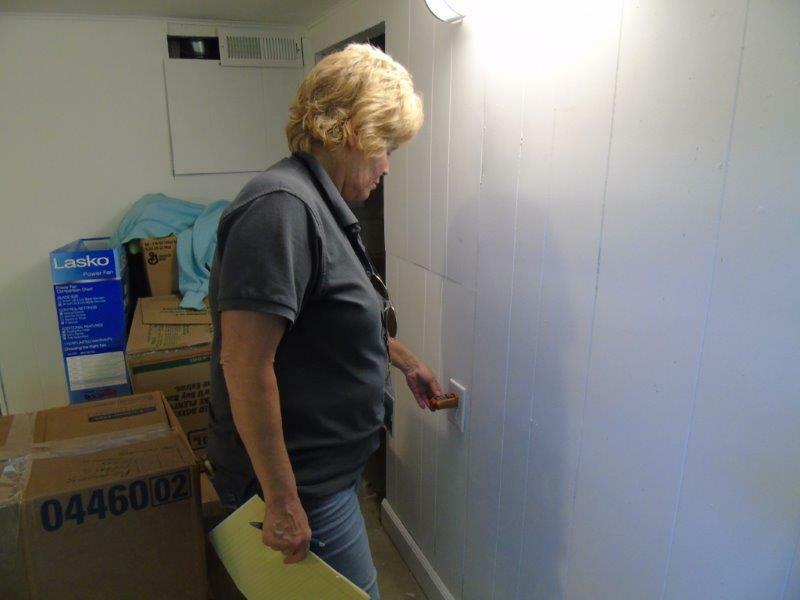 Prior to the law change, inspectors coordinated with landlords to conduct an inspection. “We wanted to support legislation that would simply protect the right of homeowners and tenants from overzealous inspectors,” said Patrick Vogelsberg, vice president of government affairs for the Kansas Association of Realtors. A similar debate over privacy rights and rental inspections is happening in Missouri and Minnesota. Missouri state Rep. Gary L. Cross, a Lee’s Summit Republican, has sponsored a bill the past two sessions that would have barred municipalities from inspecting rental properties without the tenant’s consent. Neither bill made it to the House floor. In August, the Minnesota Supreme Court ruled that routine inspections trumped tenants’ privacy rights. Noah Schuchman, the director of Regulatory Services in Minneapolis, believes that if the law had changed in Minnesota, it would have had a significant impact on rental licensing in the city. Two decades before the case in Minnesota, a Kansas Court of Appeals ruled that the Wyandotte County rental inspection program was constitutional. The Kansas Legislature saw it differently. State Sen. Pat Pettey, a KCK Democrat, voted against the 2016 bill. A landlord for the past few decades in the Argentine neighborhood, she didn’t see a benefit for tenants. “I look at this as a piece of legislation that is very much in favor of the landlords,” Pettey said. 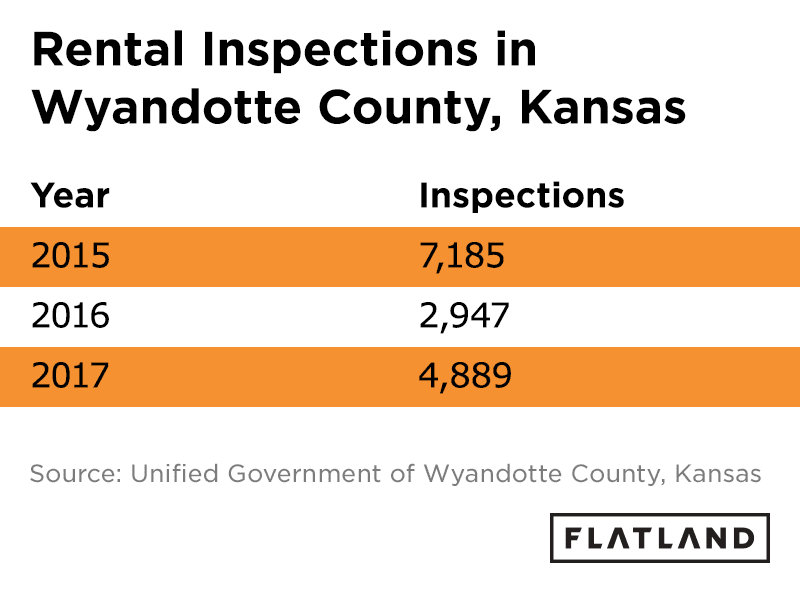 The law didn’t just change the rental inspection program in Wyandotte County. 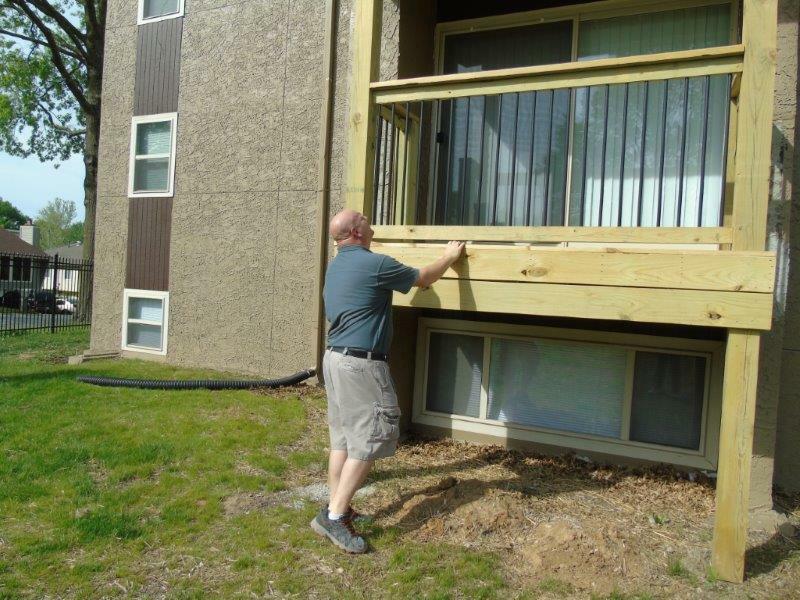 Hutchinson and Manhattan’s rental programs were scaled back to focus on rental license registration, while Overland Park’s inspection program, which was enacted in 2017, focuses solely on exterior inspections. “My gut is telling me that somebody pulled the wool over the eyes of the state Legislature by labeling this as something the tenants wanted,” Talkin said. Property inspections in Wyandotte County halved between 2015 and 2016. And while inspections rose in 2017, the total can’t be compared to past performance. Before the law change, inspectors looked at the outside and inside of units. But the office failed to adjust its record-keeping to account for the change in the law. County officials don’t know how often they were able to inspect the interiors. The tenant consent requirement makes it more difficult for inspectors to get inside rental units. Inspecting Central Park Towers, a high-rise with 195 units, meant that inspectors had to traverse 12 flights of stairs and knock on each tenant’s door to ask for permission to enter at a later date. Currently tenants have the right to complain about property conditions, but those calls haven’t always resulted in action. The rental licensing office experienced significant turnover in 2016, when the program coordinator and three inspectors left the staff of eight. That same year, tenant complaints were roughly half of the totals in 2015. “I think [the dip in 2016] has to do with both the change in state law and staff turnover. At some point, they were kind of iffy on how we should proceed because of the state law change,” Miskec said. The rental licensing office has begun to adjust its approach to inspections in the 21 months since the change in state law. The department is focusing on tenant education. In December, the rental licensing office sent out a letter to just over 18,000 addresses, telling tenants their rights. Jaskinia, the landlords association president, also believes that tenant education is imperative when it comes to keeping properties safe. The office is also looking at its own approach to records. Director Talkin noted that they’re considering a change in software for the inspection system. When Flatland requested records on complaints and inspections, the numbers from the handwritten logs and digital files did not match. Miskec hopes to create a formal checklist for inspectors, including whether smoke detectors are working, the furnace is in the proper place, and if the sink has hot and cold handles correctly labeled. The office is also looking to record the number of times the rental inspection division is able to inspect both the interior and exterior of a property. 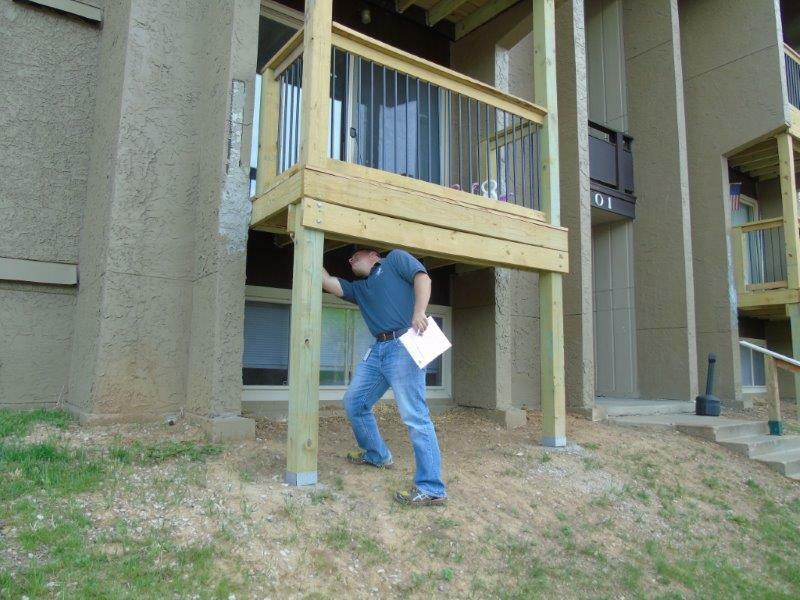 The city of Kansas City does not routinely inspect the interior of apartments or other rental properties. But that may change on Aug. 7, when voters consider a rental inspection program. The ballot initiative would grant the city’s Health Department the authority to inspect rental properties. Inspections would be conducted randomly or after a tenant complaint. If the measure passes, landlords would pay a one-time $20 fee for each rental property and an annual $20 fee per unit. If a property fails inspection, a landlord would be assessed a reinspection fee between $100 and $150. A second reinspection would cost $300. A similar effort came from the Health Department’s Dr. Rex Archer and Naser Jouhari in 2017, but it didn’t receive enough support from the City Council’s Housing Committee. Earlier this year, organizers secured enough signatures for their Healthy Homes Inspection Program initiative to get in front of voters in August. Critics are concerned that interior inspections could violate renters’ privacy rights. According to the 2016 U.S. Census, Kansas City has around 90,000 rental properties. If the ballot measure passes, the Department of Health would be responsible for inspecting them. This article has been updated to delete a duplicate paragraph.